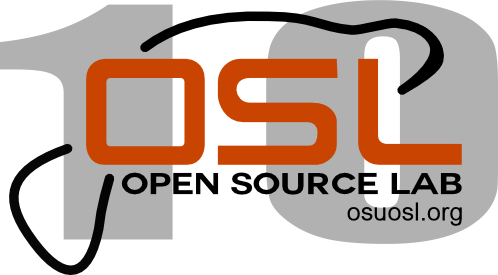 Oregon State University Open Source Lab unofficial commemorative logo, celebrating ten years of operation. This evening Oregon State University Open Source Lab gathered staff, students and friends to celebrate their tenth anniversary. Was great to see the crew, and exciting to hear about their direction for the next decade. Their quiet and critical support of community open source projects continues. Drop in on their web site, and if you’re in the Corvallis, Oregon area, ask for a tour of the OSL; they love to share. If you’re interested in a light technical overview of OSL’s hosting and network capacity, hosted projects, and growth over the last ten years you can check out OSL director Lance Albertson’s presentation at the Southern California Linux Expo (SCALE) earlier this year. Because it comes up often, and I keep loosing track of the best details, I’m parking a copy the NASA 2011 Open Source Summit Proceedings here were I can find them. This was a highly successful gathering of NASA staff, community leaders, and industry experts (hats off to Linda Curaton and Scott Goodwin as exec sponsors of the meeting). 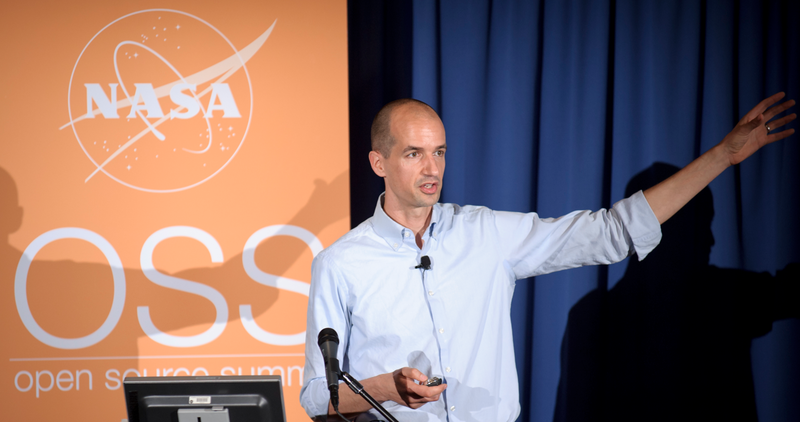 The summit format included a number of “focus groups” tackling NASA’s top questions. Issue #2: Licensing (Page 6) includes concrete recommendations for the agency. Enjoy. 10 Years of Open Source infographic by infografik. Last fall the Bryant Group led the production of the first annual Open Cybersecurity Summit. The event was underwritten by the Department of Homeland Security Science and Technology Division (DHS S&T), Cybersecurity Division and delivered by Georgia Tech Research Institute (GTRI), the Homeland Open Security Technology program (HOST). The HOST program was created to explore, invest in and share potential solutions developed and distributed as open source software tools and applications. The proceedings have been available to attendees for some time, but are public and available to any interested parties. It was a first of a kind event so far as we know, with an emphasis on the use of Open Source Software tools and applications as well as related best practices in the Cybersecurity space. 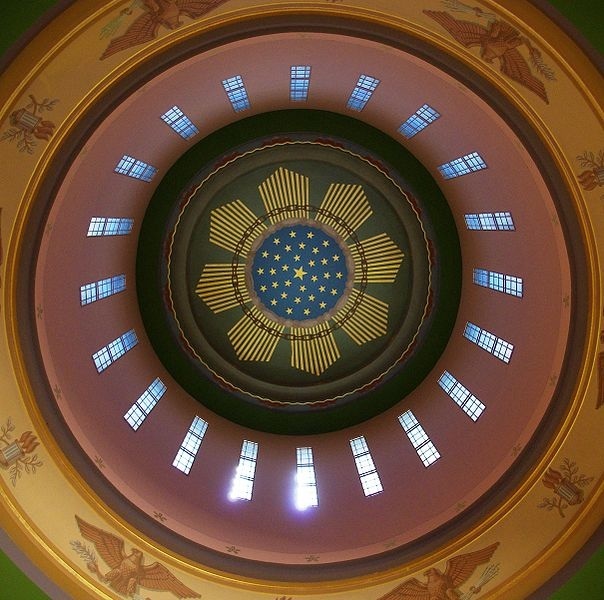 You can download the full DC Summit Proceedings 2012, or visit the archived conference site. We expect the next summit to be announced later this spring. COO and Co-founder, Aspect Security Inc.
From an invited presentation at the International Free Software Forum, a snapshot of a number of international economic development initiatives based on open source software, the full post includes a an embedded slide share presentation. Get on the (Hacker) Bus. I recently returned from the Thirteenth International Forum for Free Software (FISL) in Porto Alegre Brazil. With an attendance of about 8,000 this year, it is the largest tech conference in South America and likely the largest free/open source conference in the world. I was fortunate to have attended representing OSI and presented a keynote on free and open source software and its civic and social impact around the world, and a second session on Economic Development. The Brazilian government – with great grassroots support – was a pioneer in the use of free software as an economic development strategy, and also to bridge the digital divide by lowering the barrier to access to technology. Today the government’s involvement has shifted in some respects, and community leaders from a number of Latin American countries are debating in general the pros and cons of government partnership in their FOSS initiatives. The “Hacker Bus” project – pictured above behind myself and colleague Paulo Mierelles from the University of Sao Paulo FLOSS Competency Center – really impressed. Getting technology and “Hacktivism” out into undeserved areas makes for a fantastic program. You can read more about the project on The Next Web published during last year’s conference.